Roasted ‘Whole’ Market fish with Yukon Gold Potatoes, Lump Crab & Spicy Ginger Lime Broth. Make Mistral your next date night destination. 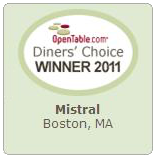 Find out why the seafood at Mistral is so fresh. Watch the video! 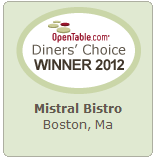 Join us for Brunch at Mistral from Mistral Boston on Vimeo.